With the diverse range of talents he possesses, Novelli brings us a recreation of his first full-length studio album It’s Not an Excuse, It’s a Reason and two previous EP's. Marcio Novelli and Ross Barber-Smith of the Bridge the Atlantic stop by to talk about their acclaimed show. 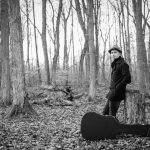 Marcio also discusses his indie music career and how to make great music videos. 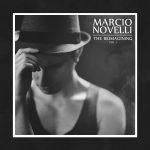 It’s a thrilling day to be in the shoes of Marcio Novelli – or a Novelli fan, for that matter – as today marks the release of his highly-anticipated EP The Reimagining, Vol 1. 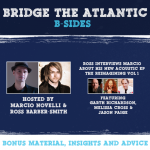 In this first installment of our brand new series, B-Sides, Ross interviews Marcio about his upcoming acoustic EP, The Reimagining: Vol 1.